CITES (the Convention on International Trade in Endangered Species of Wild Fauna and Flora) is an international agreement between governments. Its aim is to ensure that international trade in specimens of wild animals and plants does not threaten their survival. Over the next couple of weeks in March 2013, parties will vote on a record number of proposals for controlling trade in a variety of threatened sharks and rays, including hammerheads and mantas. 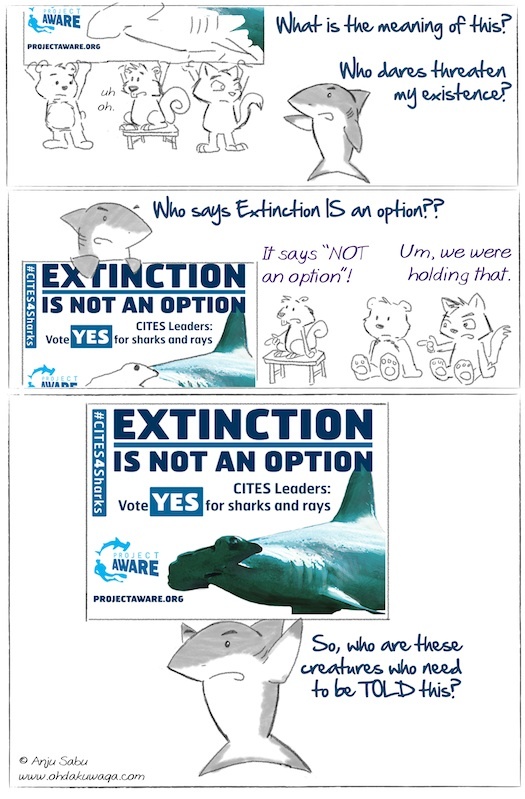 Project Aware started this campaign #CITES4Sharks to raise awareness about the importance of this meeting. I didn't want to miss the opportunity to draw and comic and be a part of this. 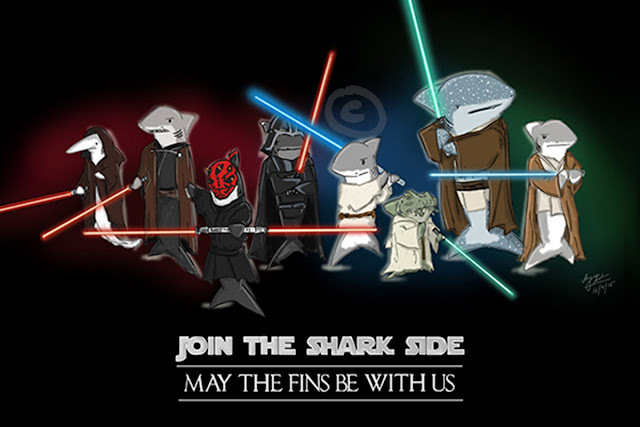 Sharks and Rays need your love and awe and support.